Luxe supports Maison Chaumet in the launch of a new brand platform: "Grace and Character", revealed in the sign-off of the new campaign. 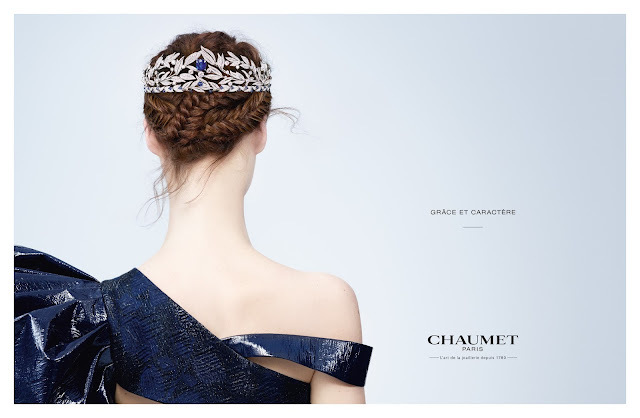 A year ago, BETC Luxe was chosen to become the creative agency of the Parisian jeweller, Chaumet. By way of a new brand signature and a new advertising image, the agency and the brand cast in an offbeat light the ineffable and timeless spirit of the Maison. "Grace and Character" testifies to this paradox, which defines the women of today, capable of gracefully juggling with the conventions while making their mark with an air of nobility. In two words and three images, Chaumet expresses its vision of femininity. A femininity today inspired by a woman of yesteryear whose independence showed astonishing modernity: the Empress Josephine. The first great client of Chaumet, and for which she remains the inspiration, Joséphine led her life according to her desires, the paradoxes of which she accepted with good grace, faithful above all to her instinct and her taste, without ever shocking, without ever bowing to exhortations. Captured on the move, the Chaumet woman sets herself free from classic jewellery codes with panache. Elegant and free, when she wears the Firmament Apollinien diadem back-to-front. 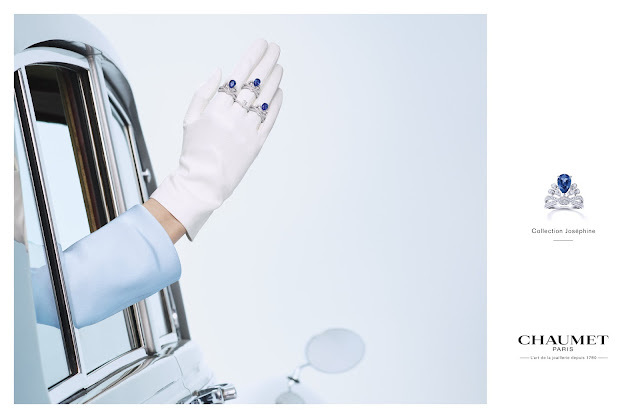 Droll and imperial when she salutes Paris with a gloved hand wearing Joséphine rings. 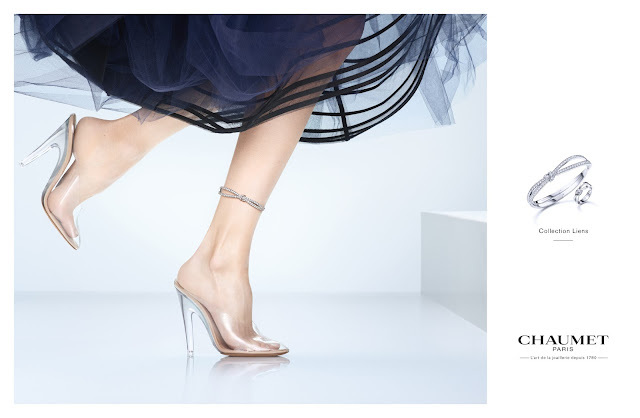 Playful and mysterious with the Liens Séduction bracelet worn on her ankle. Everyone is free to interpret as they will these cheeky sketches that evoke the Chaumet spirit. The institutional visual illustrating the Firmament Apollinien diadem is captured by the photographer, Julia Noni. The two visuals breathing life into the emblematic collections of the Maison, Liens and Joséphine, are the work of Marton Perlaki. The campaign is rolled out in the press, in digital and on the social networks in January 2018.